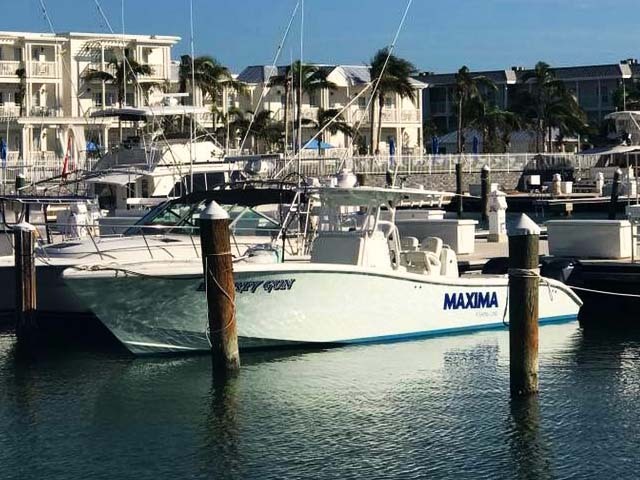 This 36 foot, triple 300 hp offshore fishing machine can quickly and comfortably get you to where the fish are! 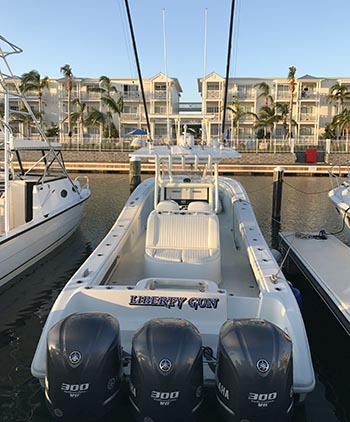 Liberty Gun is powered by triple Yamaha, 300 hp, four stroke engines, that get us to the Key West fishing grounds quickly (40 mph cruise! ), quietly and reliably. In fact, they are so quiet when idling, you have to look back at the motors to see if water is coming out of them to tell if they are even running. We also have all required safety gear, including a satellite phone, hi power vhf radio, GPS Chartplotter, FLIR Night Vision, 62 mile radar, 8 man life raft, flares, first aid kits, and life jackets. We are fully insured. 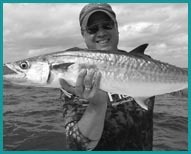 The captain and owner, Kevin Newell has a Coast Guard Masters license and has been guiding for 18 years. We take your safety seriously! Liberty Gun also has a full compliment of fishing features! 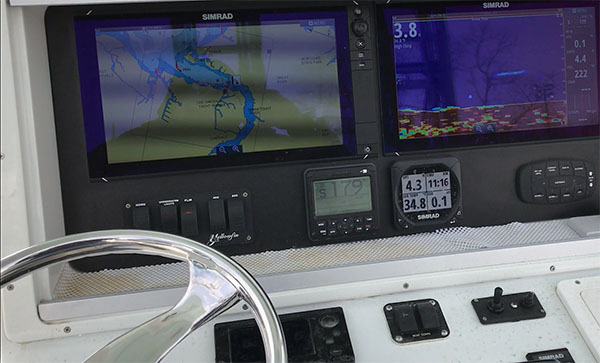 We have two Simrad 16” fish finders with three high power Airmar through hull transducers. We can actually see fish under our boat when we are crusing!! 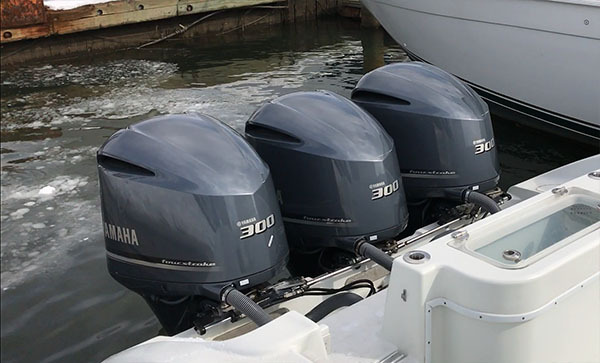 Simrad Autopilot, outriggers, stereo, and a ton of fish holds. She also features enough rod storage for all the rods we carry rigged and ready to fish. She also sports two live wells, a 55 gallon and a 75 gallon. Where we can carry a massive amount of live bait! The boat comfortably seats six anglers. We have cushioned seating behind the console for two, and forward of the console for up to eight anglers.